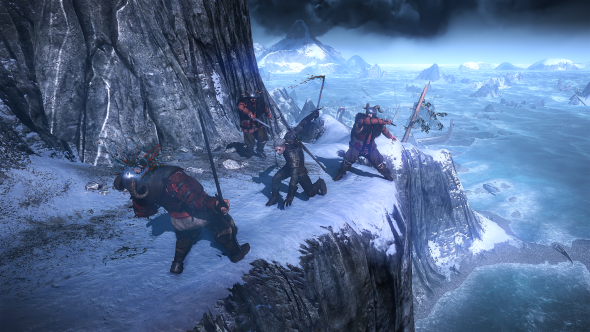 In upcoming The Witcher 3 game magic is one of the most important gameplay elements. Using different "signs" our protagonist will have an advantage in the dangerous battles with his opponents, as it was in the previous game's instalments. But in The Witcher 3 these magic "signs" will be a little bit different. Recently the journalists from clickonline.com have had an interview with CD Projekt RED's gameplay designer and have asked him whether there will be five major magic "signs" in The Witcher 3 combat system as it was in other instalments of this series. And the answer was - "only at the beginning". While you will be developing your character, new magic "signs" will be available for him. The developers are planning to implement about 10 "signs", and each magic ability will vary from the previous ones. You will be able to use two or more "signs" together, and different "signs" will be appropriate for various tactics. For example, using one of your spells you can stun an opponent, and then finish him off with another one. As for the weapons, Geralt will use only steel and silver swords. The developers are sure that the unique atmosphere of the game has to be saved: "I mean, for us, encouraging players to use polearms, shields or axes would create a dissonance akin to Batman running around with an AK-47 and shooting at his enemies." 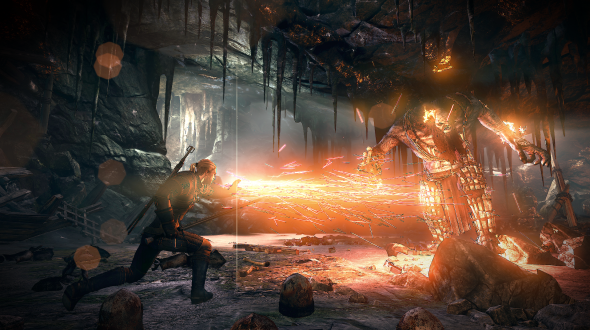 There will be two types of The Witcher 3 combat system: the strong one and the fast one. Using magic, your swords and planning each attack, you will be able to destroy any army. By the way, not only attacking will be important in the game. The developers have also focused on the defense system, so be sure that you are not open during the battle.